Using your phone to capture the spectacular, once-in-a-lifetime memories you made over spring break is part of the fun - but it's not over. You still get to put together a spring break recap photo book of your travels, you can flip through to relive each special moment. Why Put Together a Spring Break Recap Photo Book? A spring break recap photo book is a customized memory book packed with your photos, captions and notes. Think of it like a scrapbook that doesn't require a plastic tub full of stickers, glue and specially designed scissors. You can set up your spring break recap book with great collages, individual photos or a mix of both, upload scans of tickets or other special items, and add fun and fabulous design elements to personalize it even more. The best part? It only takes a few clicks to create a custom spring break recap photo book that commemorates the best week of the entire year. 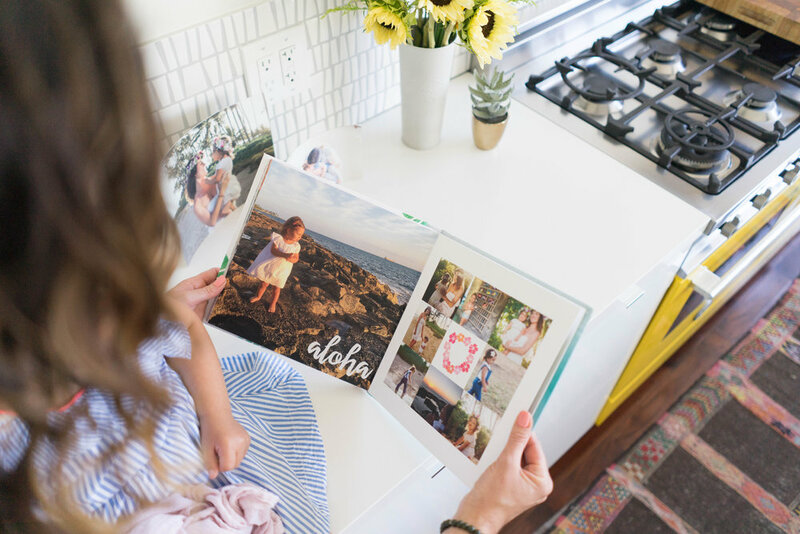 You can design your spring break recap photo book from scratch or you can use one of our favorite designs - we have dozens of amazing photo book templates to get you started. Each page is completely customizable, so you can change, add or remove elements to create the perfect display. Check out our favorites to gather inspiration for your own book. The California Dreaming Travel Book gives you a fun, fresh foundation for a beach-themed spring break getaway. With vibrant colors, hand-drawn graphics that add plenty of panache, and customizable text overlays, you can create a gorgeous memory book of your fun in the sun. A Magical Adventure photo book is whimsical (and frankly, adorable) - and it gives you all the flexibility you need to create a lively, entertaining recap book for your spring break vacation. Choose magic wands, fireworks, balloons and stars combined with super-cute backgrounds to turn collages and individual photos into adventure-packed pages you'll enjoy year after year. It's okay if you didn't spend spring break on the U.S.'s most gorgeous island chain - photos from anywhere in the tropics look great in the Hawaii photo book. This boho, equatorial-themed photo book lets you dive right back into spring break with an amazing layout splashed in tropical colors and island accents.3. Fun but dignified, the Adventure photo book is perfect for looking back on a cross-country trek, a camping trip or another outdoorsy experience. Packed with swanky, modern accents, easy-to-create collage layouts and fabulous details, you can compile a collage over a woodsy or mountain-themed backdrop, or caption each photo with your own words on this easy-to-customize design. Elegant and inspired, the Modern Travels photo book is the perfect layout for keeping things simple but beautiful. Choose between symmetrical collage layouts, full-page photos with text overlays and delightful quotes, attractive backgrounds and so much more to create the perfect spring break recap book. What Spring Break Recap Photo Book is Right for You? What kind of creation fits your spring break photos best? Is it whimsical and fun or elegant and simple? The good news is that you can explore our entire collection of customizable photo books to find the one that you'll love flipping through for years.